blog home Car Accidents For teens, supplemental driving education can save lives! Motor vehicle crashes are the No. 1 cause of accidental deaths for teens in the United States. Wrecks account for one in every three teen fatalities, according to the Centers for Disease Control and Prevention (CDC). Meanwhile, “the first six months of unsupervised driving are the most hazardous in a novice driver’s driving experience,” according to the National Highway Traffic Safety Administration (NHTSA). And in 2016, 2,433 teenagers, 16- to 19-year-olds, were killed in motor vehicle accidents in America. That same year, 292,742 teens were treated in emergency rooms for injuries following a vehicle crash. That amounts to six teen deaths per day caused by wrecks, and hundreds more injuries. This is all worrisome for the parents of teen drivers. So what can we do to make Eastern Virginia roads safer for teens and everyone? What are the main causes of teen driving crashes? First, understand the dangers. Teens face two categories of danger while driving: social/situational factors and exposure factors. Social and situational factors are things like driving with passengers, using alcohol, being tired, or using a mobile device. Exposure factors are what anyone might encounter on the road, such as time and day of the week, amount of time spent driving, and environmental and weather conditions. Most of these behaviors can be attributed to poor choices or inexperience. That’s why there is one important additional step parents and teens can take to bring home the consequences of dangerous driving. What can Virginia parents do to keep teens safer? Second, take action. For most teens, getting a driver’s license is a rite of passage. Considering how important driving is to teens, the idea of not letting them drive until they’re well into their 20s isn’t a realistic solution. Plus, most parents don’t want to be stuck carting their teenagers all around town—to school, jobs, sporting events, and dates. 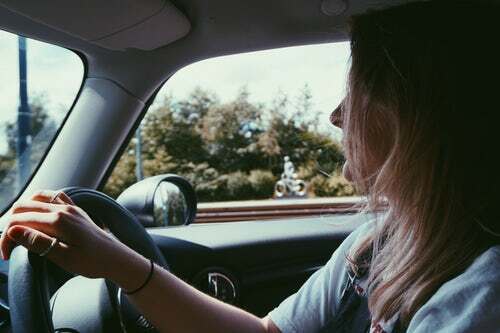 Certain studies have suggested that teen drivers could benefit from continuing and supplemental driver’s education, after they’ve gotten their license. A company named I Drive Smart offers young Virginia drivers one-on-one, behind-the-wheel programs that hone skills like space management, speed control, highway driving and ramp access, braking efficiency, and lane control, while also building the student’s confidence. Texas’ Reality Education for Drivers (RED) program takes supplemental driver’s education a step further, using “realistic, interactive elements.” RED is attended by young drivers who were enrolled by a parent, referred by a community group, or referred by a court or school administrator for disciplinary reasons. The program takes place in a hospital, instead of a classroom. While it features traditional elements like safe-driving lectures and videos (and developing a contract with parents), it also gives attendees a harsh dose of reality. Part of the RED program features guided tours of an intensive care unit (ICU), emergency room, and even a morgue, as well as conversations with hospital workers who’ve dealt with car accident victims firsthand. We at GibsonSingleton offer a similar dose of reality through our mock “driving under the influence” sentencing trial that we put on for teens each spring. Too often, we see the results of drunk driving in our work, and its devastation on a community—not just the victim. These programs prove what we’ve known—seeing the potential consequences of your actions changes the way you see the reality of a situation. As a parent of teenagers, you may want to consider enrolling your young person in a supplemental driver’s education program—for their safety and your peace of mind. As parents ourselves, we at GibsonSingleton Virginia Injury Attorneys understand the concern you feel every time your child gets behind the wheel. Whether or not your teenagers continue their driver’s education, we believe that the most important thing is to have a candid conversation with them about the responsibility in operating a motor vehicle. We don’t want any of our Virginia teens to be victims OR perpetrators. So we ask every parent of a new driver to download and sign our Keys to Safe Driving Agreement with your teen, and help him or her to make a conscious decision to take the wheel responsibly. If you or a family member was injured in a car accident in the Middle Peninsula, our legal team is here to help. Please call us at (804) 413-6777 to set up a free consultation. If we can help you get compensation for your accident or deal with the insurance company, we will. And we won’t charge you until we’re successful on your behalf.